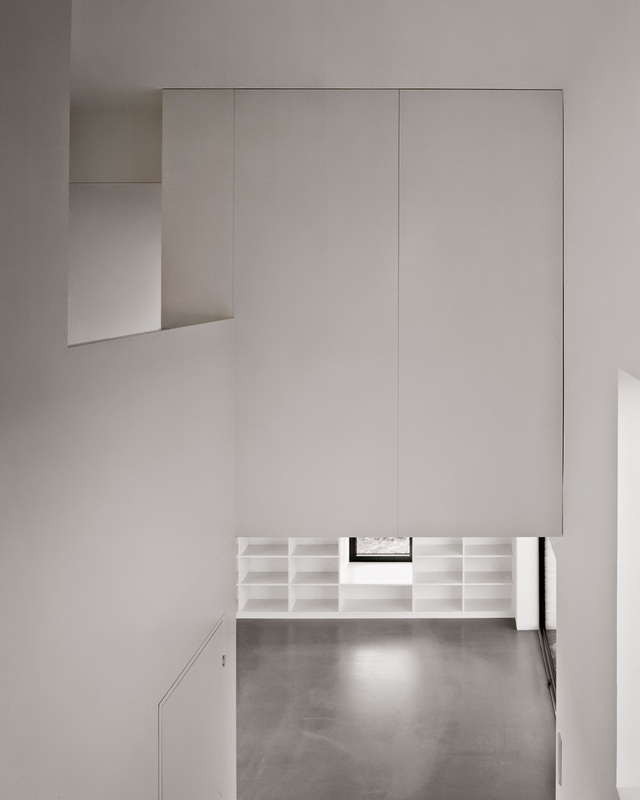 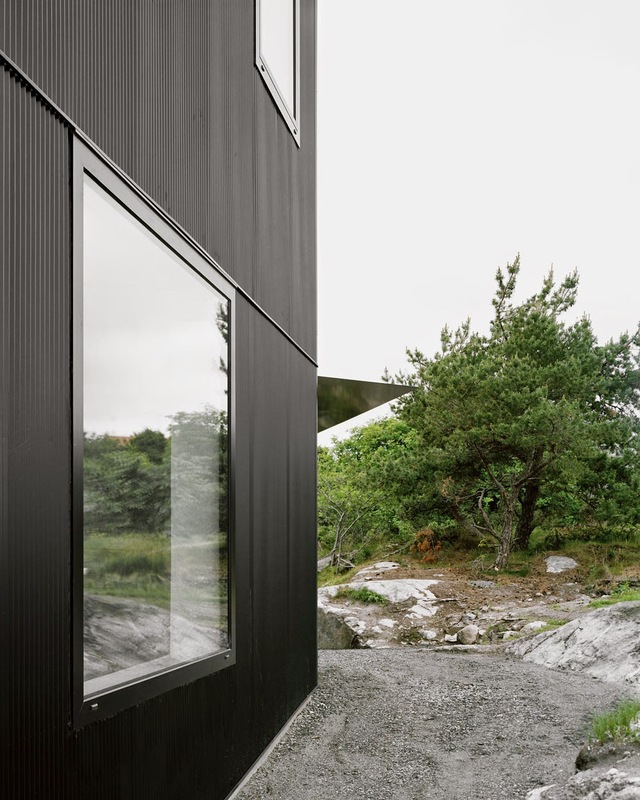 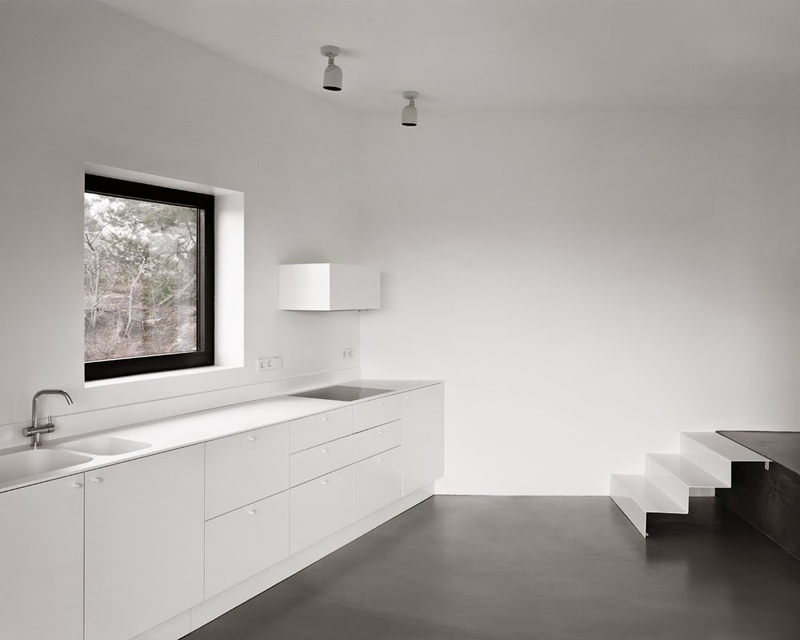 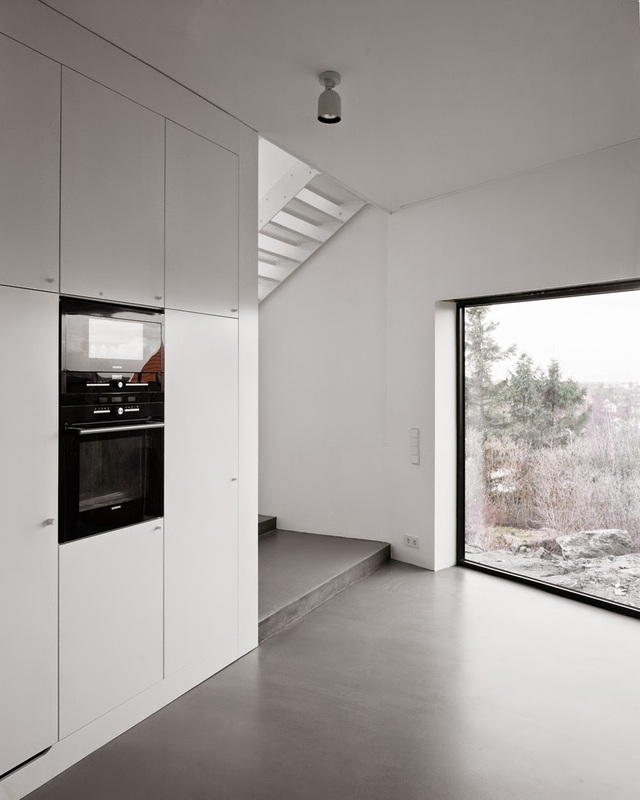 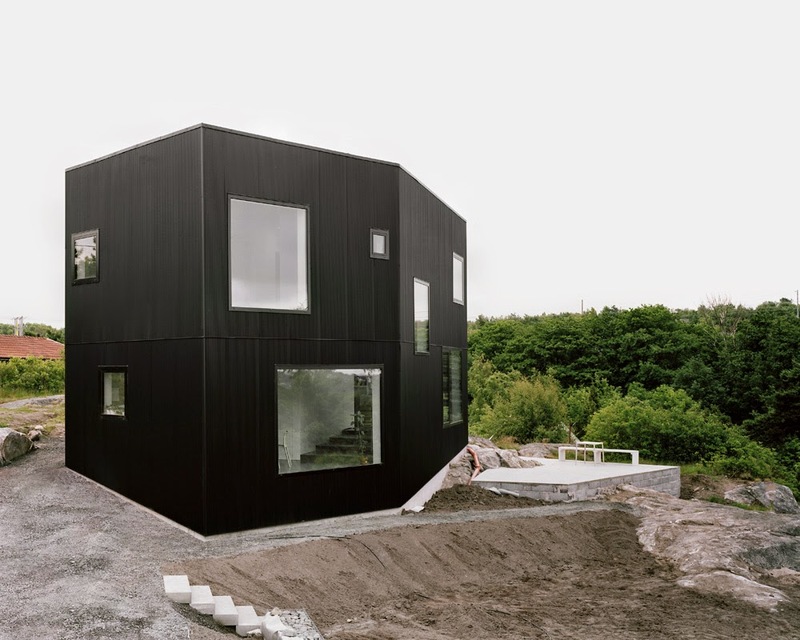 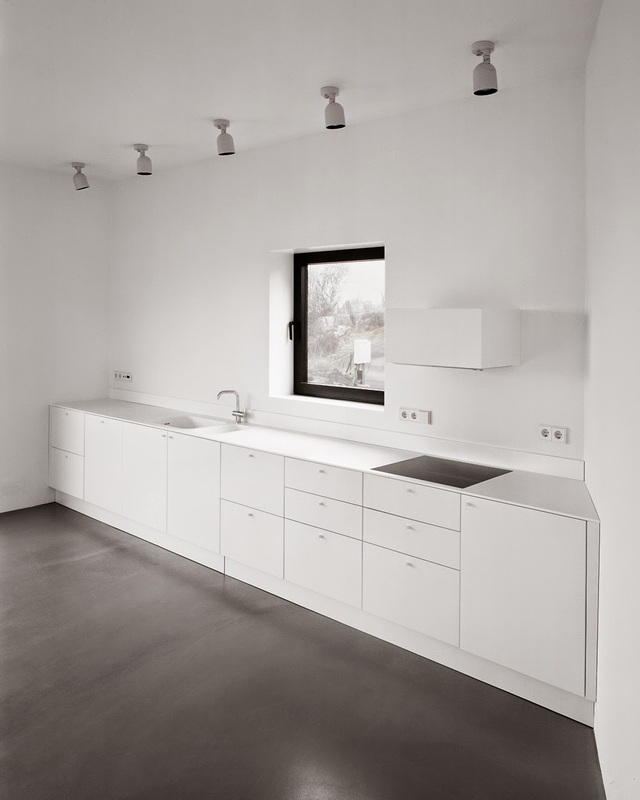 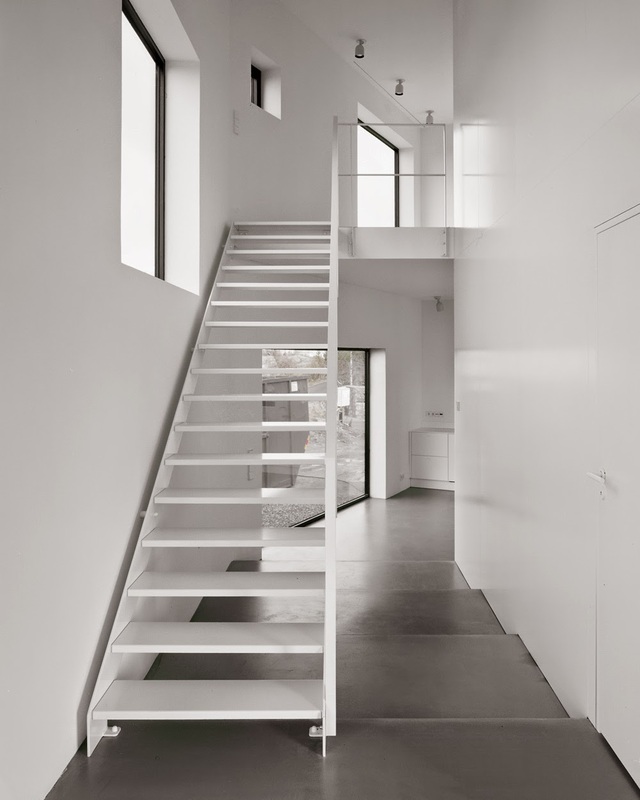 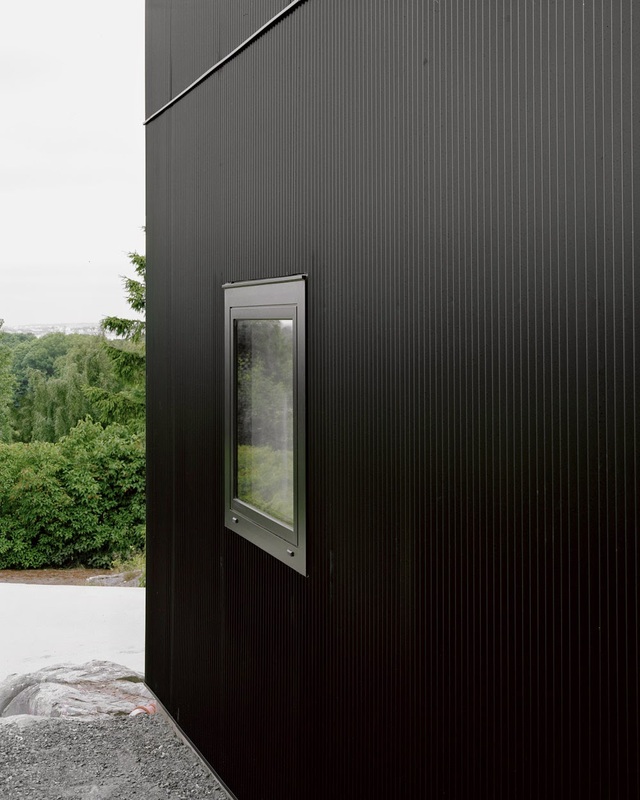 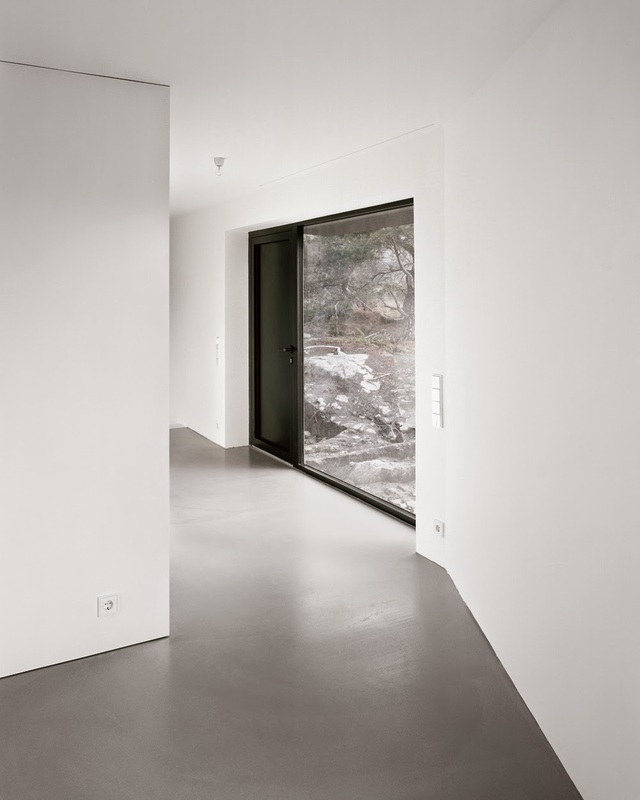 Johannes Norlander Arkitektur designed House Tumle outside Gothenburg in Sweden, with a minimalist, abstract shape that follows the existing topography of the site. 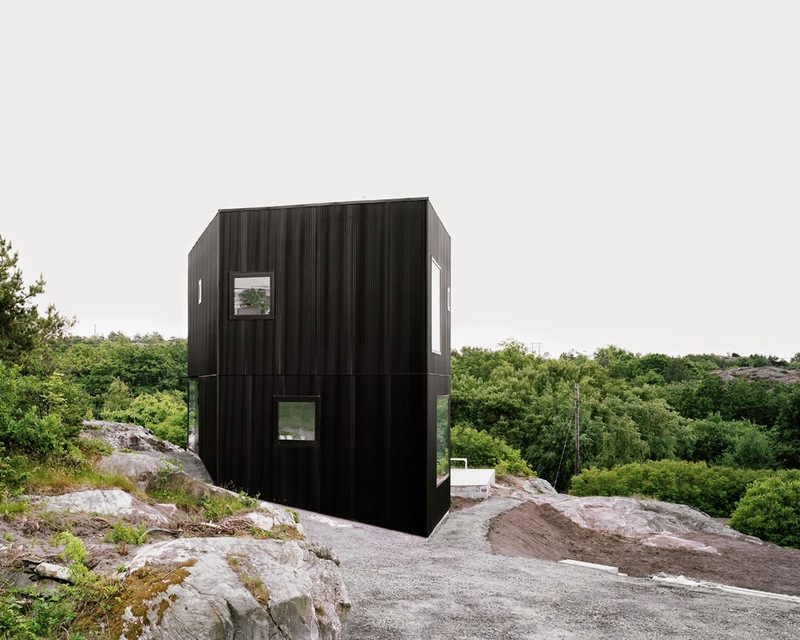 “The property is located in a residential area north west of Gothenburg, on the top of a hill, overlooking the North Sea. 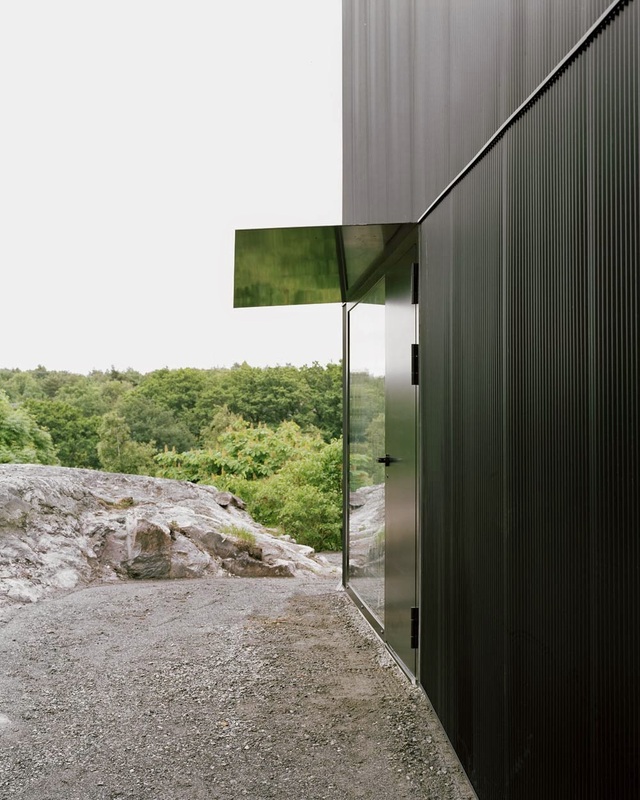 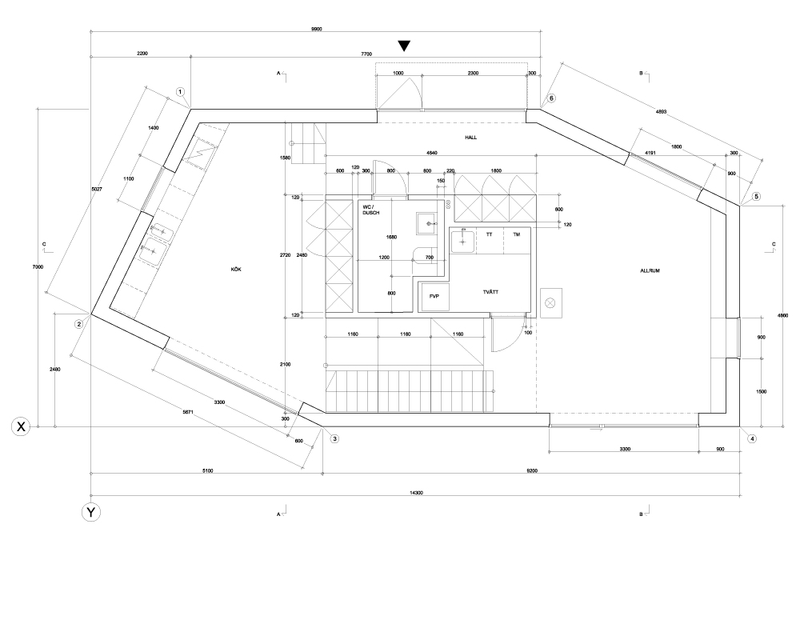 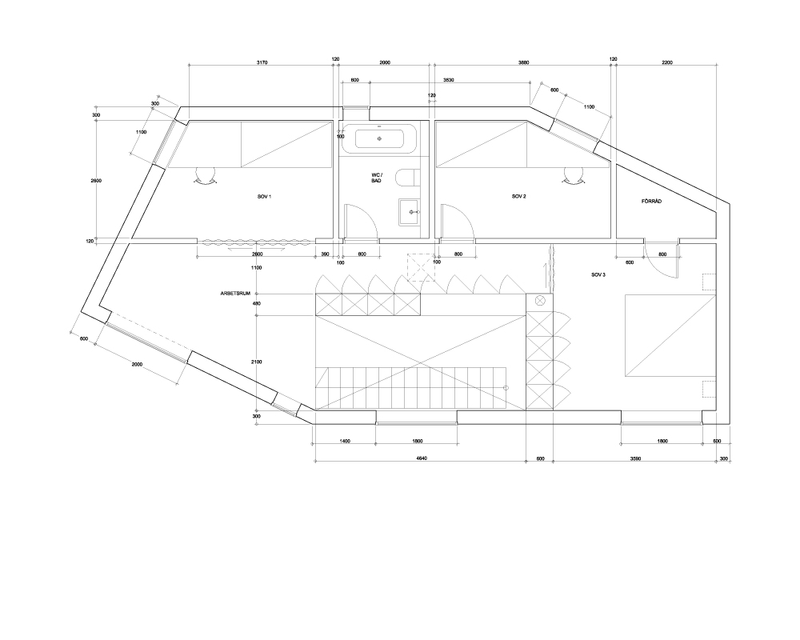 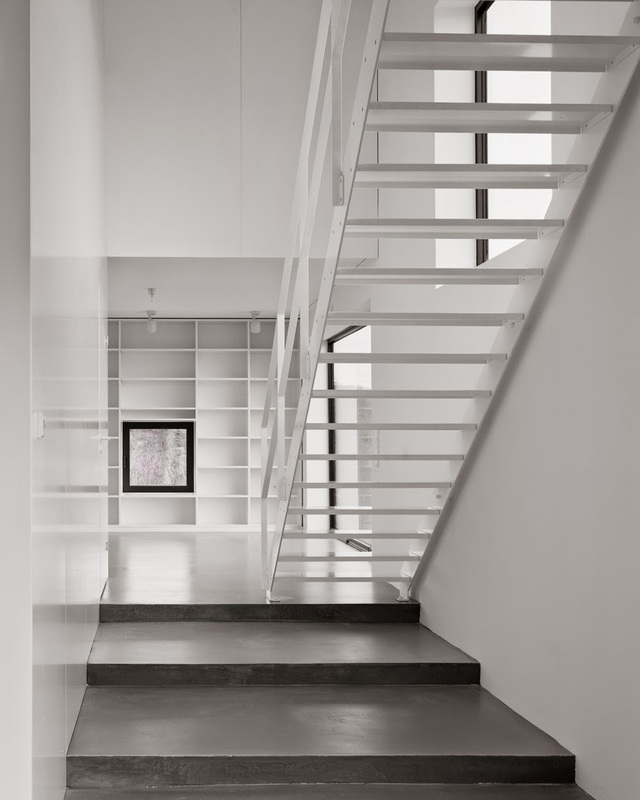 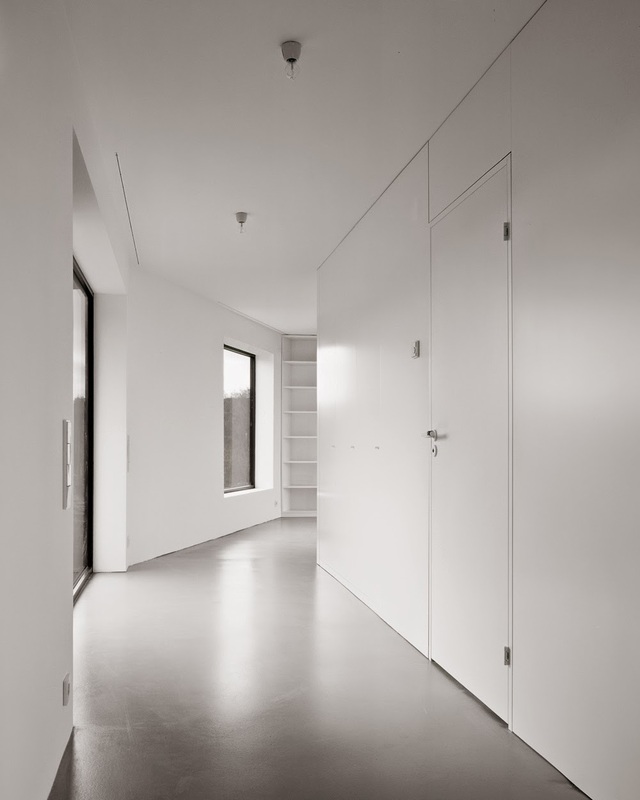 The shape of the building volume follows the existing topography of the site, aiming to creates a natural walk around the building as well as creating an inside flew between the rooms, emphasizing specific outlooks.